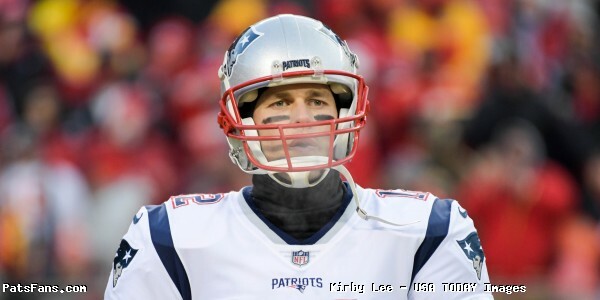 ﻿Patriots-Jets Week 17, Key Matchups, Who Has the Razor’s Edge? 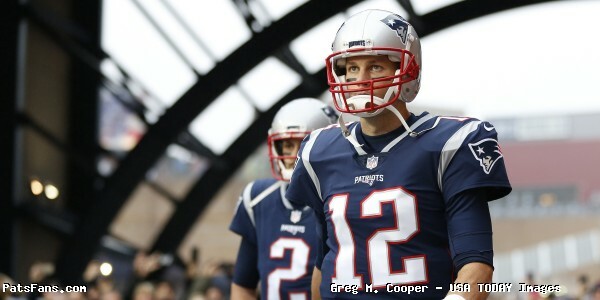 The New England Patriots finish off their 2018 regular season with a home game against the traditional rivals, the New York Jets. As the season closes, once again the teams are moving in opposite directions. The Patriots captured the AFC East for the 10th season in a row and the 16th time in 18 years. The Jets are fighting to keep Todd Bowles’ job. A Patriots win on Sunday also guarantees a first-round bye in the playoffs for a record ninth consecutive year, no other team has more than four straight byes. 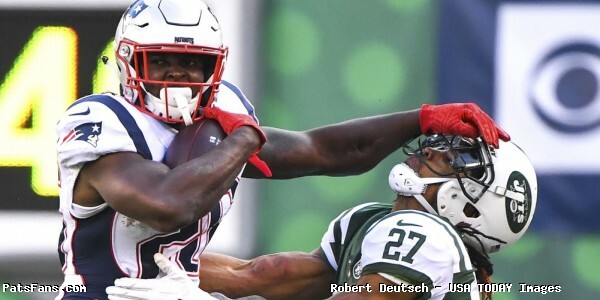 But it wouldn’t be the end of the regular season where Manish Mehta, one of the Jets’ beat writers didn’t predict the impending doom of the Patriots dynasty in 2019 with the ascension of the Jets… This is as new as the tired “tomato can” myth. This week’s game will be broadcast by CBS on Sunday, at 1:00 p.m. and can be seen locally on WBZ-TV Channel 4. Ian Eagle will handle play-by-play duties with Dan Fouts as the color analyst. Evan Washburn will work from the sidelines. The game will also be aired on the Patriots flagship radio station 98.5 The Sports Hub with Bob Socci and Scott Zolak on the call, produced by Marc Capello. 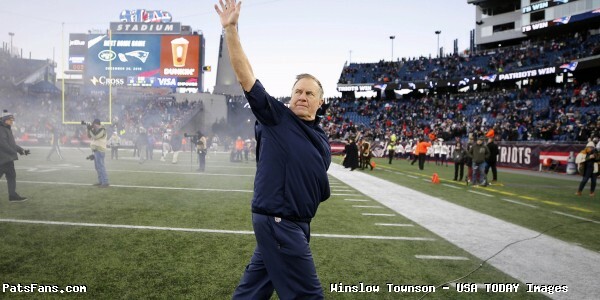 The Patriots (10-5) are coming off of a much-needed win over the Buffalo Bills 24-12 after dropping two in a row. 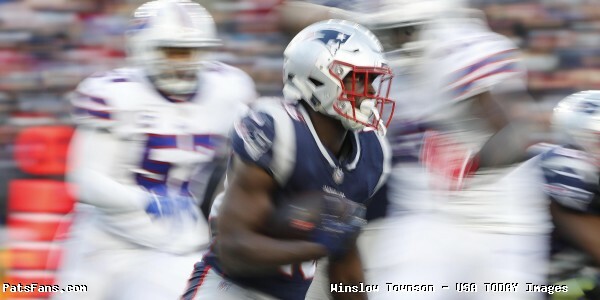 Sony Michel led the way with 116 of New England’s 273 rushing yards against the #9 defense against the run. The Jets (4-11) are coming off a heartbreaking 44-38 overtime loss to the Packers. They blew a 15-point 4th quarter lead but were victimized by 16 penalties, several of them of the “questionable” variety. Sam Darnold, however, had his best day as a pro, completing 24-35 for 341 yards with 3 TDs and 0 INTs for a passer rating of 128.4. The New England Patriots and New York Jets will meet for the 120th time, including three postseason games, since the series between the AFC East rivals began in the old AFL in 1960. New England leads the series 64-54-1 overall. The Patriots are 34-25-1 all-time at home against the Jets, including 14-4 at Gillette Stadium. Since Robert Kraft purchased the team in 1994, the Pats have owned a 35-16 record against Gang Green. Last year the Pats earned their 18th series sweep over the Jets and can earn #19 with a win on Sunday after their win in the Meadowlands in Week 12. The Jets aren’t as good as the Bills defense is at defending the run. They allow 126.0 yards per game on the ground which is 26th in the league and 4.6-yards per rush. They missed having Leonard Williams in the middle last week after getting ejected for taking a swing at the Packers Brian Bulaga. Look for the Patriot to try to run Michel between the tackles again. The big men on the nose, Mike Pennel and Steve McClendon will have to be aware of the wham blocks the Patriots used on the Bills last week. The OLBs Brandon Copeland and Jordan Jenkins are going to have to stay home and not crash down inside or the jet sweeps by Cordarrelle Patterson (if he’s available) and Phillip Dorsett will be very effective. Williams against Shaq Mason should be a big matchup to watch. The Patriots passing game has really sputtered lately. 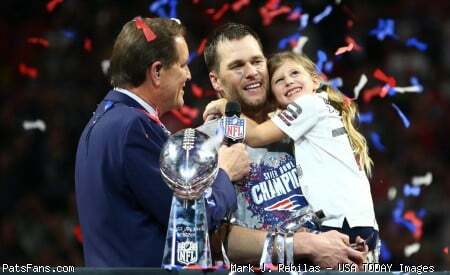 The rumors that Tom Brady has a medical issue (sprained MCL) on his knee continues to persist. And, since the Rob Gronkowski touchdown in Miami where he went down after throwing the ball, he simply hasn’t looked the same. Josh McDaniels is pulling out all the stops to generate some life in the passing game. But without Josh Gordon, Brady only targeted Edelman and Patterson at the WR position, Gronkowski at TE, White, and Burkhead at RB. 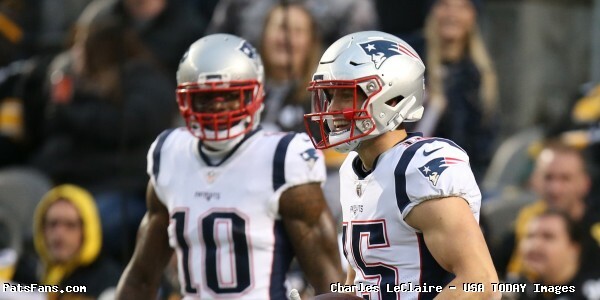 Chris Hogan and Dorsett were not targeted at all. The Jets defense is also 26th in the league against the pass allowing an average of 254.7 yards per game. But they have been outstanding on third down and have the 2nd best 3rd down defense in the league allowing only 33.1 percent of opponent’s 3rd downs to be converted. We’ll be watching the matchup between Edelman and Buster Skrine in this one closely. 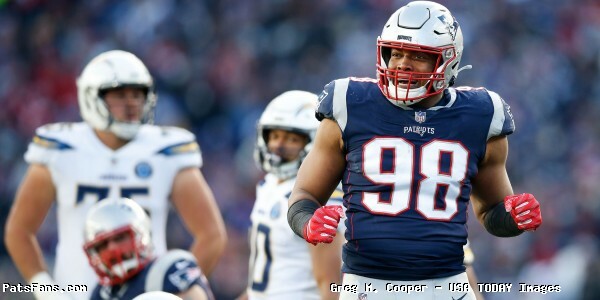 How well this matchup goes for the Patriots as well as the one between Gronkowski and Jamal Adams will decide the game for New England. We’ll see if the Patriots get James White back in the flow of the offense this week, But I really don’t expect a half dozen throws to be spread between Patterson, Hogan, and Dorsett this week. The Jets running game has taken some major hits with Isaiah Crowell and Bilal Powell both being put on IR. That puts the onus on 2nd year RB Elijah McGuire from Louisiana-Lafayette. He’s struggled and is averaging just 3.2-yards per rush in 2018 with three touchdowns. He’ll be backed up by the small but speedy Trenton Cannon from Virginia State. Despite the offense rolling up 38 points a week ago, neither was particularly effective on the ground. 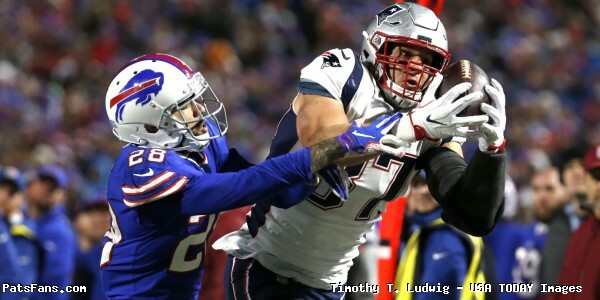 The Patriots were better against the run last week, limiting the Bills to just 72 yards which 30 of were scrambles from Josh Allen. They put Danny Shelton back in the lineup and they really need the big body who can two-gap in this defense. The Patriots have allowed 113.3 yards per game which is 13th in the league. It will be tough for the Jets to smash the ball with McGuire this week; they’ll have to get creative by mixing things up with the speedster Cannon to get things going. But I look for the Patriots to do a good job against the Jets running game. The Jets passing game is getting better down the stretch as the light has seemed to come on for the rookie Darnold since he returned from his injury. His last three games he’s gotten progressively better and threw the ball very well last week against Green Bay in the overtime loss throwing for a career-high 341 yards, three touchdowns, and no interceptions. He has Robby Anderson, Quincy Enunwa (missed last week) and Jermaine Kearse (hasn’t practiced this week) on the outside, with TE Chris Herndon and RBs McGuire and Cannon out of the backfield. This will be a big game for the rookie as he wants to end on a hot streak and this is the team he was drafted to play against. The Patriots are 23rd in yardage allowed thru the air but are currently 7th in opposing passer rating. At home, the Patriots opposer passer rating is just 77.8. They’ve found a gem in UDFA J.C. Jackson who is really coming on this season to go along with Stephon Gilmore, Jonathan Jones, and Jason McCourty at corner. The Patriots may try to throw some different looks at Darnold, as he’s never faced him before and try to confuse him. Depending on who’s healthy on Sunday will determine the matchups outside for the Jets. Look for Darnold to target Herndon often who is really coming on nicely this season and Anderson who is coming off a huge day against the Packers. The Patriots special teams, specifically their coverage units have been up and down this season. This is an area where the Jets can take advantage. Andre Roberts does the work for the Jets in both the punt and kickoff return games and he is as dangerous as anyone they’ve faced. Roberts had a 99-yard TD and a 51-yarder last week and had another big one called back for a penalty. 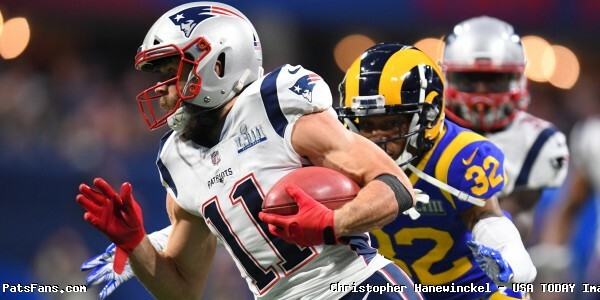 The Jets coverage units have been good and that too will be an area to monitor as the Patriots return game has been steadily improving this year. Patterson, if healthy is always a player to watch. The Patriots have blocked three punts in the last three games. Show Up Early, Start Fast: The key for New England is to start fast and get out to an early lead on the Jets who are just 4-11 and whose coach is about to be unemployed. If they can get a quick 10 or 14 points in the early going, it may be all that many of the Jets players need to check out mentally and beginning their offseason plans. The last thing they need is to have the opposite happen. If the Jets jump out to an early lead or hang around it will give them hope of pulling an upset and knocking the Patriots out of the #2 seed. At that point, they will be playing with house money. Make the Jets Offense One-Dimensional: The Jets passing game and Darnold have been much better in the last three weeks. But even veteran QBs have trouble when their offense is tilted either one way or the other. If they can get New York in third and long scenarios often enough, they can dictate the way the game is going and dial up some of their blitzes. The Patriots have actually been very good at getting pressure without blitzing, (top 5 but they haven’t been able to generate enough of those into sacks. Brady Has to Spread the Ball Around: The Patriots can’t just target two WRs in the passing game. That is a recipe for losing in the playoffs. He has to get Hogan and Dorsett involved in the passing game, and this week will be a perfect time to start getting them jump started. That and get James White a bigger piece of the pie. The Jets linebackers, especially outside have been disappointing this year. It could be an area to take advantage of this week. 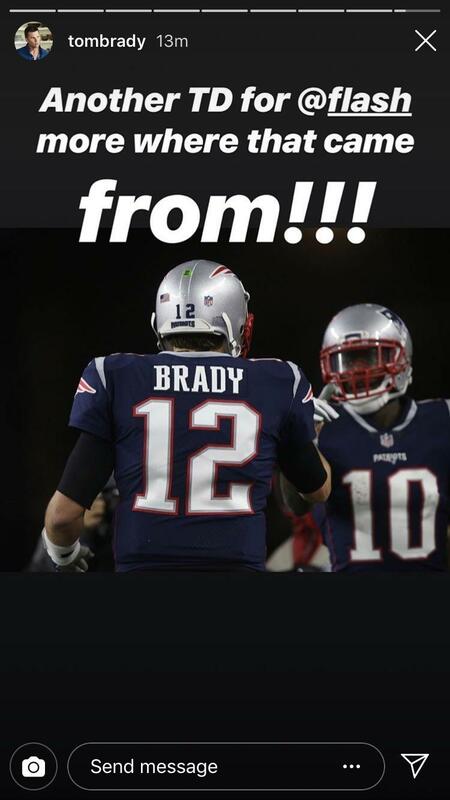 This entry was posted in 2018 Patriots Regular Season and tagged Bill Belichick, Chris Hogan, Cordarrelle Patterson, Danny Shelton, Devin McCourty, Elijah McGuire, JC Jackson, Julian Edelman, Leonard Williams, New England Patriots, New York Jets, NFL 2018 season, nfl early lines, Quincy Enunwa, Rob Gronkowski, Robby Anderson, Sam Darnold, Sony Michel, Stephon Gilmore, Tom Brady, Trey Flowers on December 28, 2018 by Steve Balestrieri.